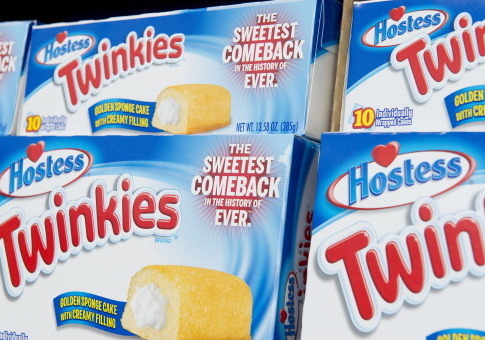 Hostess Brands Inc.—which has long fed America's sweet tooth through its production of Twinkies, Ho-Hos, and Ding-Dongs—announced Wednesday that corporate and hourly employees will each receive $1,250 in bonuses because of savings being generated by the Republican tax reform initiative. "The recent tax reform changes have given us the opportunity to review our benefit and compensation structure with an eye toward further investing in our workforce – our extraordinary team of employees who have and continue to help make Hostess so successful. As we have done in the past, the company’s management and board take great pleasure in sharing the company’s success with our employees," said C. Dean Metropoulos, the company's executive chairman, in a released statement. Social media users were quick to poke fun at House Minority Leader Nancy Pelosi (D., Calif.) and congressional Democrats for their previous comments claiming bonuses as result of Republican tax cuts, like those by Hostess, were "crumbs." This entry was posted in Culture and tagged Tax Reform. Bookmark the permalink.